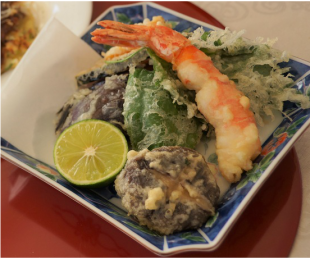 This Course will teach you how to make Tempura, a popular deep fried dish. 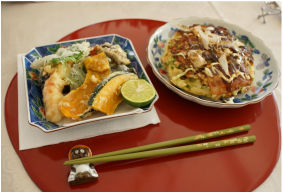 The key to success in making a good tempura is 1. make the right batter. 2. prepare the shrimp and vegetables properly. You will learn the tricks to make the light and crispy tempura. Course Fee : 8,000 yen per person. Course Fee :10,000 yen per person.